Punta Cana is located in the East of the island with a length of 50 km. It owes the most beautiful beaches in the entire Caribbean. You can make sure by choosing an ocean-view apartment to fully enjoy your Dominican Republic vacation.Indisputable that one of the most visited destinations here remains Punta Cana. Not only due to its magical places that you can visit here, but also because this piece of land has so much fun to offer! It will blow your mind away with unforgettable memories for your entire life. There is no doubt that in Punta Cana you will find the best places to party with your family, friends or just meet new people. 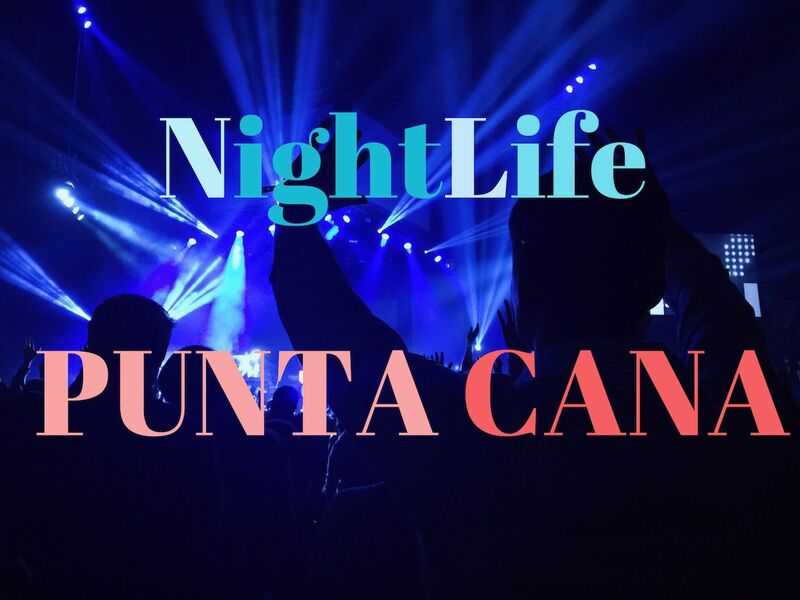 The Nightlife of Punta Cana is outstanding and there is no doubt about that! This City Respects and considers all budget ranges and attends to all different types of tastes and environments, offering multiple genres of music in different locations of the city. Here we will cite a variety of places like bars, restaurants, casinos, and disco-clubs in Punta Cana which are suitable for anyone who wants to take a social drink, have a dinner, try their luck in gambling or destroy the dance floor until the sunrise. Coco Bongo has a large number of live shows, that makes this place unique, where acrobats and professional artists fully engage in the performances. The show lasts three or four hours. It is combined with the best modern music and videos between performances. You can enjoy there not only a great concert with dancers and gymnasts, but delicious snacks and good cocktails too. 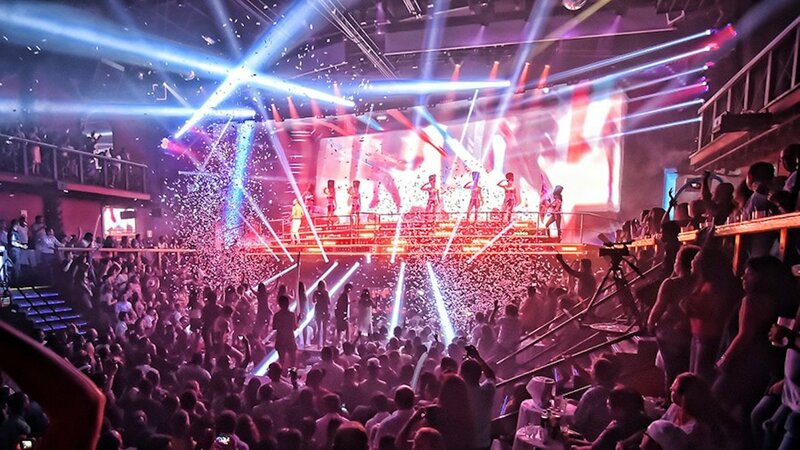 Coco Bongo gives its visitors the best experience full of fun. ORO Nightclub Punta Cana nowadays is one of the best nightclubs in the Dominican Republic. By its interior decoration and the disco itself, ORO Nightclub Punta Cana does not concede to Las Vegas and Miami’s nightclubs. ORO has a two-level space of over 14,000 square feet, is noted for its show lighting, perfect sound and the infinitive edge bar. You will enjoy all the types of music you like: Dominican salsa, bachata or trap music and even hip-hop and tech house. Imagine Punta Cana is also known as “La Cueva”. You will enjoy a disco inside a system of three acoustical natural caves where music sounds great and the Dominican rum. 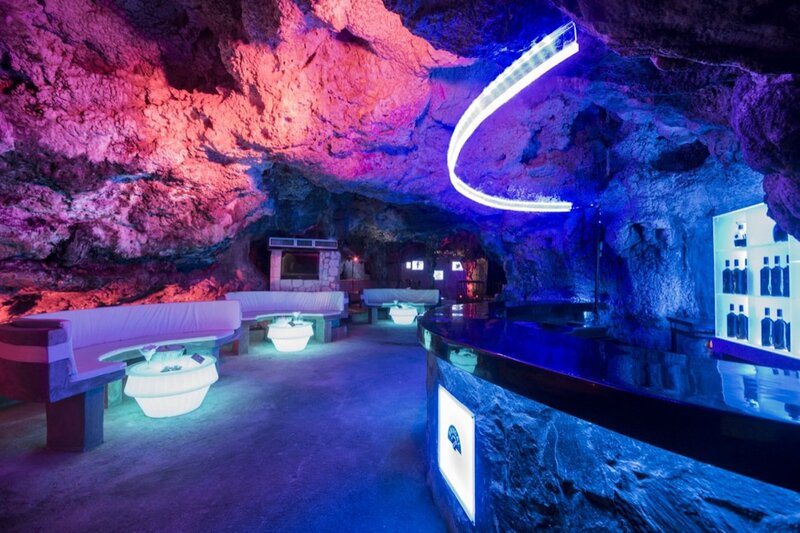 Each cave has different lighting and a live DJ mixing different muic genres: Latino, Electro, International and Premium bar, so you will dance the night away. 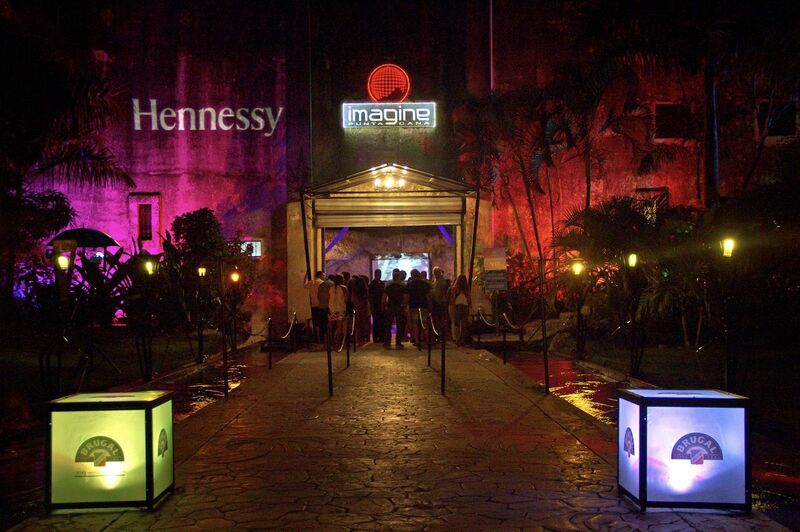 Imagine Nightclub Punta Cana also offers live shows, exotic dances and a VIP area. The cocktails are divided into a classic menu and a fusion one. Among the first class cocktails you should taste the Diablito, which has rum, Sprite and Granada, and the Cave-it with rum, pineapple, coconut, jin, tequila and grenadine. 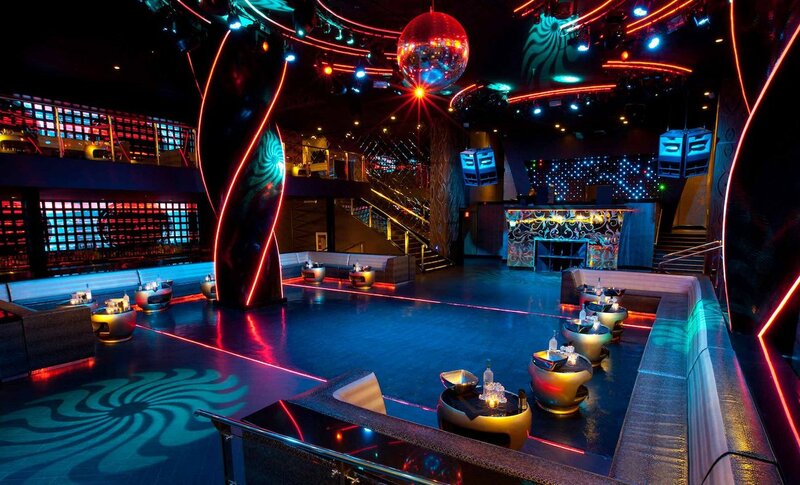 Versus Marina Cap Cana is a nightclub with a beautiful avantgarde style design. This club has a space of over 1000 square meters and three different areas, where you will absolutely enjoy your leisure time. There are several cocktail bars, 3 VIP areas and 2 VIP terraces. Therefore, it is also a perfect place to celebrate your events, no matter it they are family or corporate. 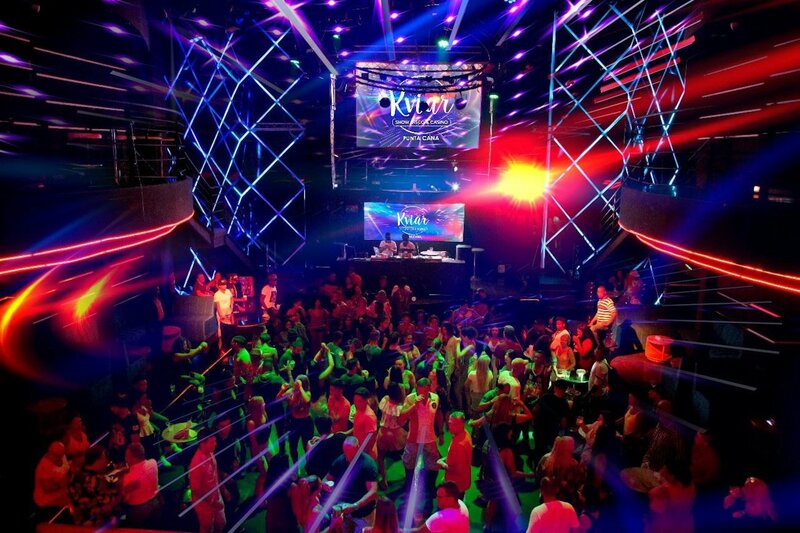 Kviar Show Disco & Casino is open to the general public, although it is a part of the all-inclusive hotel. Also, it is famous for hosting the best shows with amazing international DJs. Urban Beats, Dominican music like merengue, salsa and bachata will make you vibrate all night until dawn. 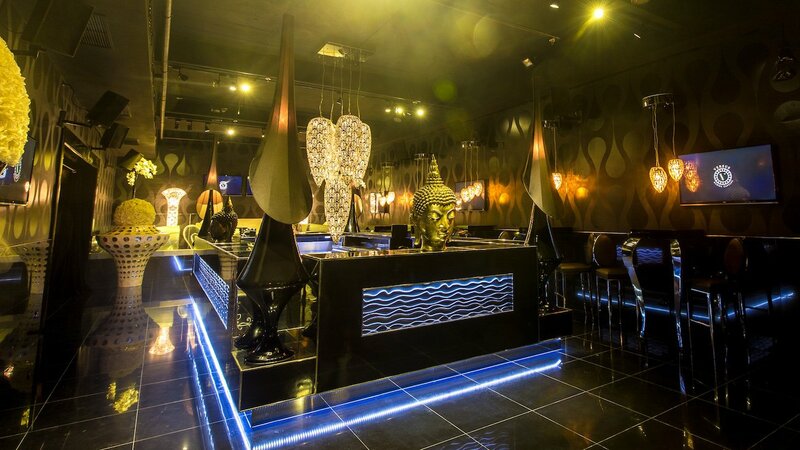 Smoke Room Is the new Disco & Lounge in Bávaro, Punta Cana. This place is lower budget place than the previous discos we mentioned before. Its located close to all the main tourist centers in Playa Bávaro (Punta Cana). Good music, drinks, and the staff are fantastic. The club offers Normal VIP packages for all occasions. They also have security inside and outside the club.